Antoine Griezmann says he thinks Arsenal are a good team but he is not considering leaving Atletico Madrid currently. The France international is one of the hottest properties in European football currently after starring for both Diego Simeone’s side and France at Euro 2016. Griezmann who came third in this year’s Ballon d’Or vote admits that Laurent Koscielny had been attempting to lure him to north London but that he is happy where he is. “For Arsenal, he speaks to me about it often. But I’m good in Madrid. I don’t want to leave. 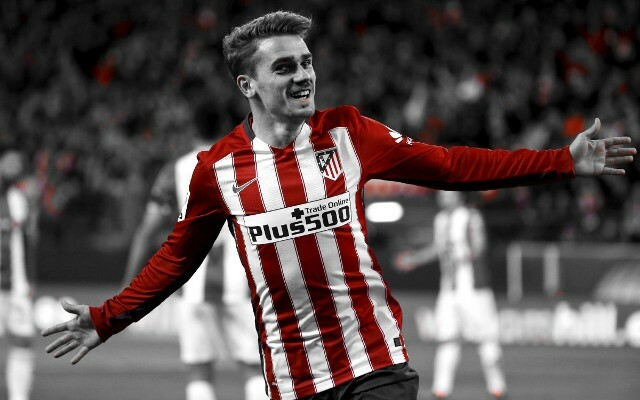 I’m happy here,” Griezmann said via ESPN. While Griezmann has been linked with a move to the Premier League there have also been rumours Real Madrid could make a shock swoop but he has poured cold water on such talk. “I’m so good at Atletico. Honestly, I don’t see myself leaving,” he added. “People often talk to me about England too, but I’m good here,” he added. Koscielny’s attempts to lure Griezmann to Arsenal will surely be welcomed by fans, with the France international’s quality in no doubt. The striker has previously admitted his future at Atletico could be in doubt should Diego Simeone leave, and the coach reduced his contract from June 2020 to June 2018 earlier this season.